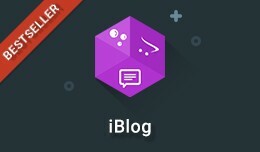 iBlog brings a simple and straightforward way to blog in OpenCart. 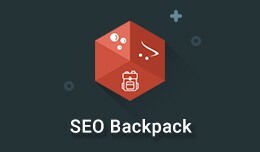 It features, SEO URLs, so search engines find about your business easier and an intuitive way to interact with the module to do just about anything you would want. 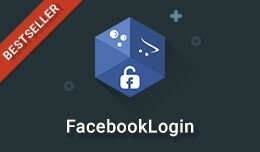 Plea..
FacebookLogin. Save your visitors valuable time and make their login a breeze with the Facebook Login button. You can now generate a user-friendly environment for the sign-up with a Facebook connection feature. Your users will be tha..
Facebook Login - Powerful Plug-and-Play Login Bu..
SMSBump increases your customer loyalty and automatically sends transactional messages on New Order Placed, Shipped Order and Successful signup. Free Signup Bonus Download our OpenCart module today and get Free credits. 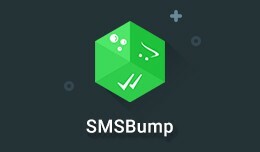 ✯ Fr..
SMSBump - Send Transactional and Marketing SMS m..
Care about your competition pricing strategy? 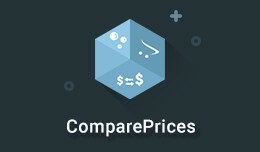 ComparePrices helps you cleverly and efficiently follow your competition by asking your customers if they have found a lower price of the same product elsewhere. ✯ Phone field an..
ComparePrices - Found a lower price? 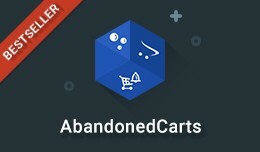 ✯ Add Product(s) to Cart Front DEMO ✯ Admin Panel DEMO AbandonedCarts is following the default OpenCart functionality to apply discounts in the shopping cart, which makes it also compatible with all third-party .. IMPORTANT: The Legacy version of the module is compatible with OpenCart 1.5.6.x, 2.x and 3.x The new version is compatible only with OpenCart 2.x and 3.x. 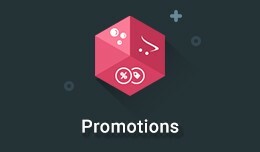 Promotions are all around us. They are influencing our consumer spendin.. 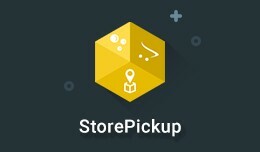 Promotions - Market-Proven Promotions That Bring..
StorePickUp creates a separate page, where customers can view all their stores pinned on Google Maps. Customers can also find additional store essential info like phone, store address, opening hours, etc. Upon checkout, the module adds..
NotifyWhenAvailable notifies interested customers when the product that is currently out of stock is going to be available again. 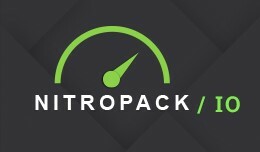 The module makes it easy for you to keep customers up to date for the products that they want to purc..
NotifyWhenAvailable - Notify when a product is b..
AutoDetect is a cool module that will make your visitors feel like home. 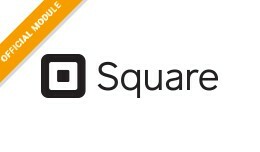 It is a perfect fit for stores with more than one language and currency. Designed to set the store language and currency based on your users current location. 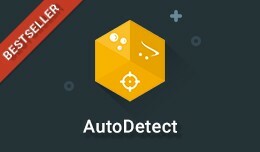 H..
AutoDetect - Automatically Detect Currency and L..
SEO Backpack for OpenCart comes with a detailed Q&A section which answers the most common configuration and pre-sale questions we get for the module. 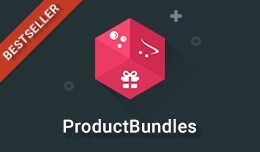 If you have any additional questions, please do not hesitate to write them ..
✯ Store DEMO ProductBundles is following the default OpenCart functionality to apply discounts in the shopping cart, which makes it also compatible with all third-party checkout modules in the marketplace. Produ..
ProductBundles - Create Amazon style discount bu..
AutomatedNewsletter is the easiest way to keep your customers informed about your newest products, bestsellers, and store specials - all fully automated. You only have to set up the system once, and the system will automatically ge..
AutomatedNewsletter - Fully Automated Newsletter..
WhatsApp is a mobile messaging app which allows you to exchange messages without having to pay for SMS. Make use of the fastest growing cross-platform mobile messaging app. 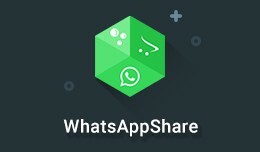 Add WhatsApp share button into your e-commerce store. Please mind .. Protect your web store and block Spammers before they can even get your address! 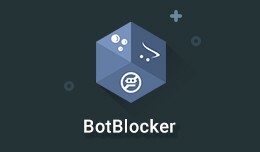 In BotBlocker, we implemented the World's first and only distributed system for identifying Spammers and the Spambots they use to scrape addresses from ..
BotBlocker - Block certain bots from visiting yo..
LabelMaker allows you to add highly configurable labels/stickers/corner images to your products. 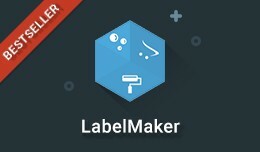 For the first time in OpenCart, you can add, rotate, edit and move stickers/labels to any product without using any third party softwa..
Read About the Importance of Data Back Up and Recovery Periodical back ups guarantee that you can bring your store immediately in case of an emergency. 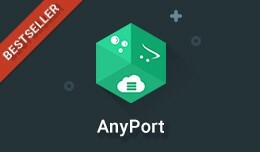 AnyPort helps you back up and restore your OpenCart store to a local, remote ..
AnyPort - Backup / Automatic Restore to Cloud St..
OrderReviews is a trusted way to provide an impeccable after sale service. Right after a customer has purchased a product from your store you can request a product review and add a hook - discount. This will help add to store buzz fa..
OrderReviews - Email Clients to Rate and Review ..